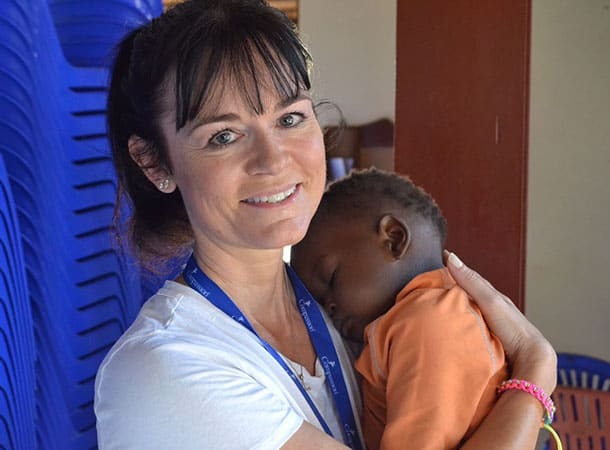 Ferryspeed’s General Manager in Guernsey is continuing his work with Compassion by raising awareness of African children who live in poverty and need sponsors. 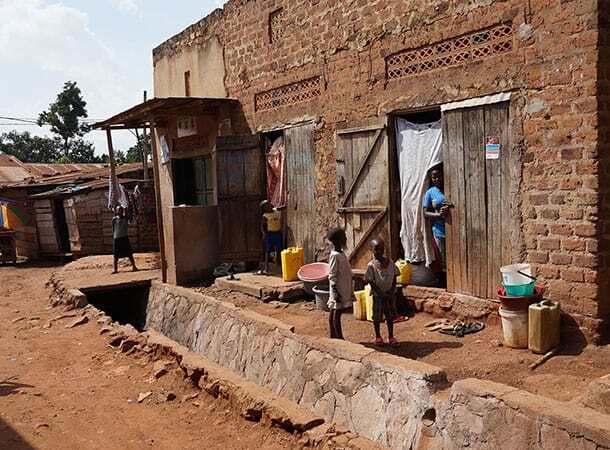 Martyn Langlois, who has just returned from Uganda, raised £24,000 for the Christian charity last year which has funded the building of four classrooms in two poor communities in Burkina Faso. The fundraising began after the death of his wife Gill, who was a school teacher and Compassion volunteer, as Martyn and his family wanted a lasting legacy in her memory. Compassion partners with churches in 25 of the world’s poorest countries to help children escape poverty by providing access to education and healthcare through Christian sponsors worldwide. Currently 1.8 million children are being sponsored in Compassion projects worldwide. Martyn, who has worked for 35 years at Channel Express and then Ferryspeed, sponsors seven children through Compassion. 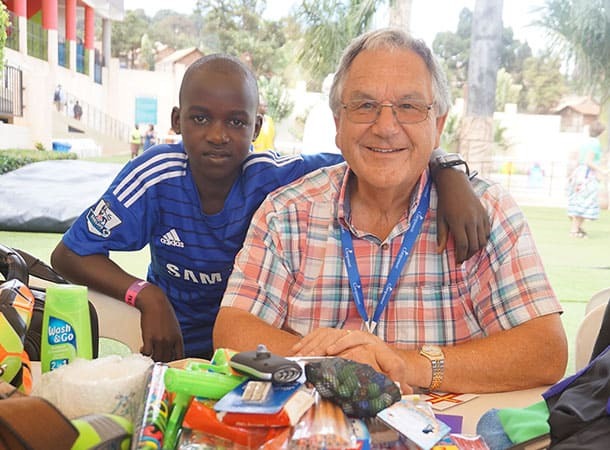 On his recent trip to Uganda with other sponsors, Martyn visited some of Compassion’s projects and met one of his sponsored children, Jamil Wanyama Kenneth. Since returning from Uganda, Martyn’s aim is to raise the profile of the many children around the world who need sponsors. 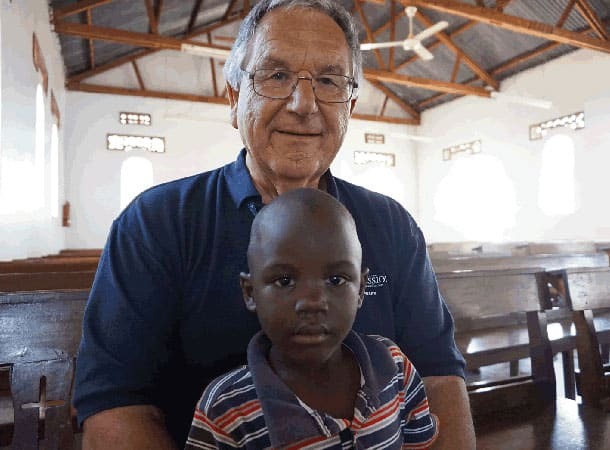 “There are currently 99,600 children in Compassion’s projects in Uganda, and although the majority have sponsors, there are always new children coming in,” said Martyn. “I want to find new sponsors for these children. There are hundreds who are desperately in need and the poverty they live in is another world. The more sponsors we can find, the more children’s lives can be transformed,” Martyn added. Following the completion of the two classroom projects in Burkina Faso, Martyn is now discussing a third classroom project with Compassion as part of Gill’s legacy, and around £3000 has already been raised or donated.